November 9, 2016 was a morning that got off to a great start for Melissa Jenkins. "We were really busy in the morning, it was nice out, not super cold," she said. "We kept checking everywhere, everywhere for it...I went outside and I looked down the street, and we came out, and we were watching, and that was when the first explosion." Jenkins says the fire was spectacle, many stopped their cars to gawk and watch...but Jenkins' mind was elsewhere. "My husband works at Republic Steel and I couldn't get ahold of him, and he was there." 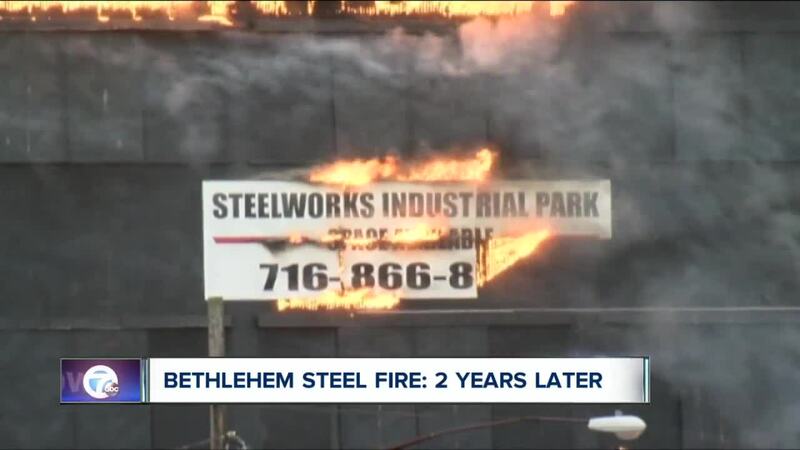 Republic Steel is on the other end of the grounds where Bethlehem Steel burned to th ground for days. Jenkins tells 7 Eyewitness News that since no one was sure where the fire started, and whether it was a safety risk, employees at Republic were held for hours before being sent home. "I couldn't get ahold of him and when I finally did, he's like 'I'm okay, they're sending us all home.'" 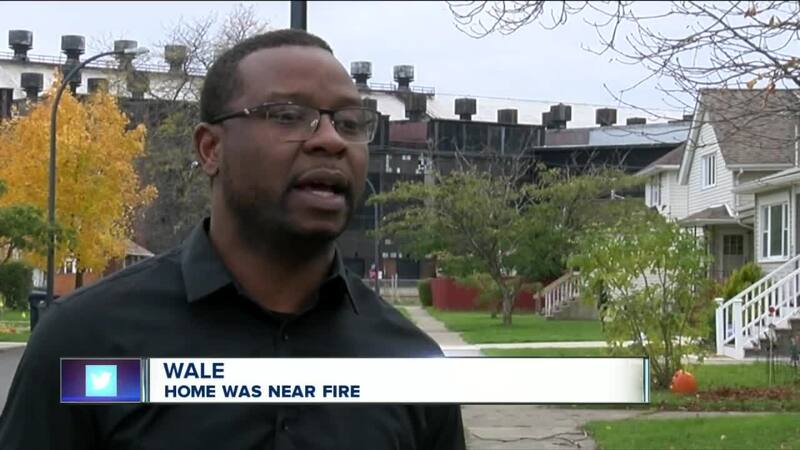 We spoke with many people living along Lincoln Ave - facing the Steel plant - and they told us they chose to stay. Neighbors say the wind was blowing the smoke clouds in the opposite direction of their homes, and other than the air quality, they were not in fear of their homes being burned. The cause of the fire is still unclear...but what is coming into focus is what may happen to the site. Erie county is paying for a road expansion of Dona Street to go through the site, it will be the first time the grounds are made public. A new $1.8M shoreline trail just opened nearby -- with the hope that these projects breathe new life into the steel city.